With the holidays right around the corner, we’re loving all of the holiday nail inspiration we’ve been seeing online and on Instagram! We recently shared a post with our favorite holiday movie inspired nail designs, which got us inspired to hunt for our favorite Disney Nail designs! Whether you’re making a trip to Disneyland in California or Disneyworld in Florida or just staying at home, these Disney inspired nails are perfect for the holidays! Who doesn’t love Mickey, Minnie or the rest of the gang?! Below you’ll find 50 of our favorite Disney inspired nail art designs! Aisling has been super busy this morning getting our Chloe Christmas ready ????????????✨???? isn’t she a star!!! #thebeautyloftely #elysalon #elynails #hardgel #gelpolish #christmasnails #lovethem #disneychristmasnails #showscratch #showscratchmagazine???? Thought I'd do another #flashbackfriday in honor of Walt Disney's birthday. 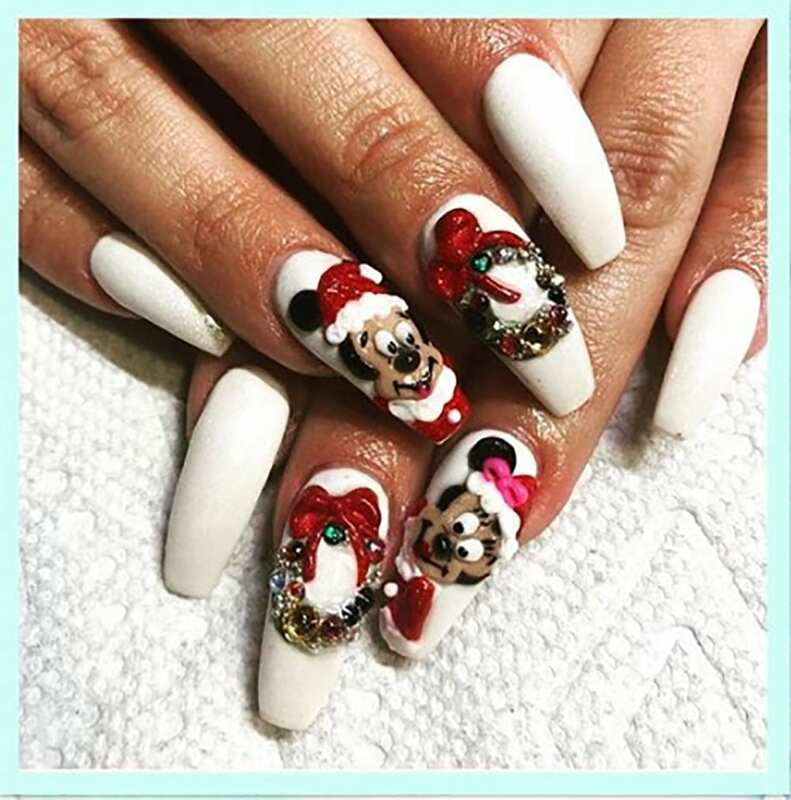 These are my Santa Mickey nails I did last Christmas before I was on IG. I remember it took me forever to get him right but I so loved the outcome. Definitely going to recreate him this year.